Apple has refreshed its Macbook Pro with Retina display model with new processors and more memory in time for the new OS rollout. Rumours began swirling yesterday that Apple was planning a refresh of its Macbook products and today the Californian company has dutifuly delivered new Macbook Pros. 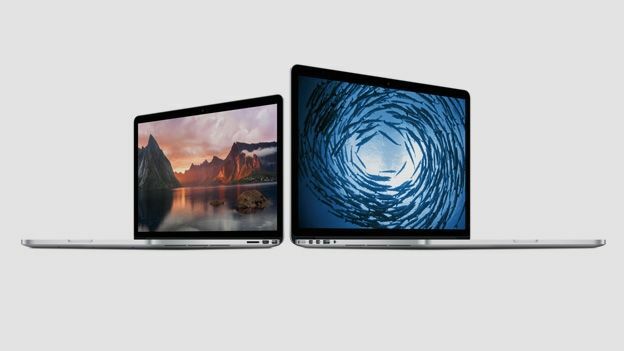 Keeping the design the same, Apple has upped the specs inside the Macbook Pro with Retina display to get the model ready for the imminent arrival of OS X Yosemite. Inside the new, top-tier 15-inch Macbook Pro there now exists a quad-core Intel i7 processor clocked at 2.5GHz with the option to Turbo Boost to 3.2GHz. The memory has also been doubled from 8GB to 16GB of RAM and graphics are handled by Nvidia's GeForce GT 750 GPU. Apple has lowered the starting price for this model, but it'll still set you back a wallet-worrying £1,999 including VAT. Meanwhile, the 13-inch model now incorporates dual-core Intel Core i5 processors at 2.8GHz with Turbo Boost speeds of up to 3.3GHz and 8GB of memory, up from 4GB on the original models. The laptops are available to buy from the Apple Store now. The company has also decided to drop the price of the non-Retina Macbook Pro by £100 to £899. Although the machines all come with Apple's current OS X Mavericks installed, when OS X Yosemite is released in the autumn it won't cost a penny to upgrade. “People love their MacBook Pro because of the thin and light, aluminium unibody design, beautiful Retina display, all day battery life and deep integration with OS X,” said Philip Schiller, Apple's senior vice president of Worldwide Marketing. We're still waiting for that 4K iMac and Retina display Macbook Air, mind.